Thankfully, my pneumonia is behind me and I was able to enjoy and do a review for this week. 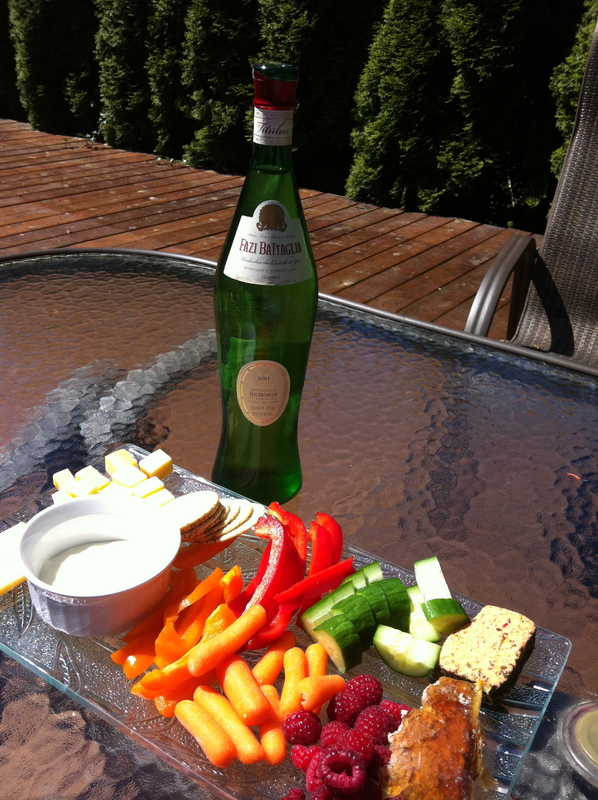 With the weather being so absolutely gorgeous – I chose an Italian white to ring in patio season. This week, Fazi Battaglia’s 2011 Verdicchio dei Castelli di Jesi is the wine I choose and it was a good choice! The bottle is beautiful with a red top and an informative scroll about the Marche region in Italy and the Verdicchio grape. 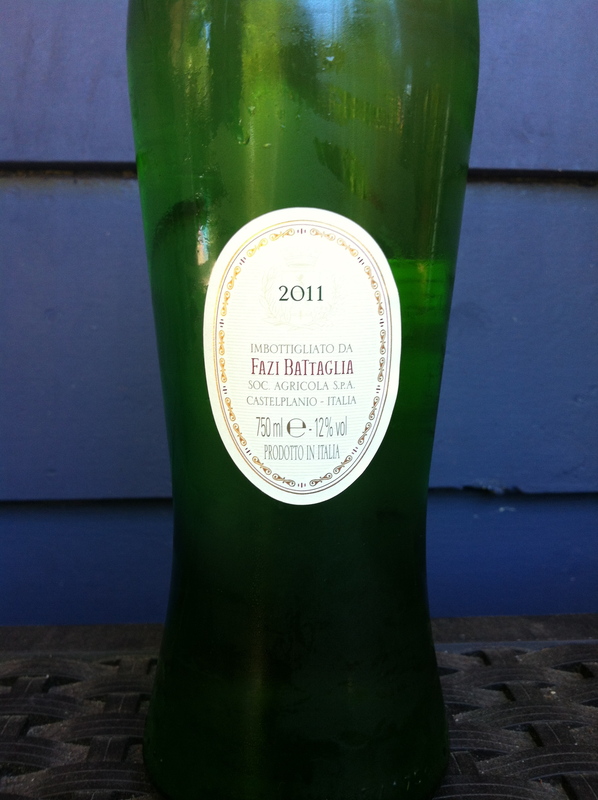 Pale lemon-green in colour, this Verdicchio had a medium- aroma intensity with notes of lemon, lime zest and red apple. 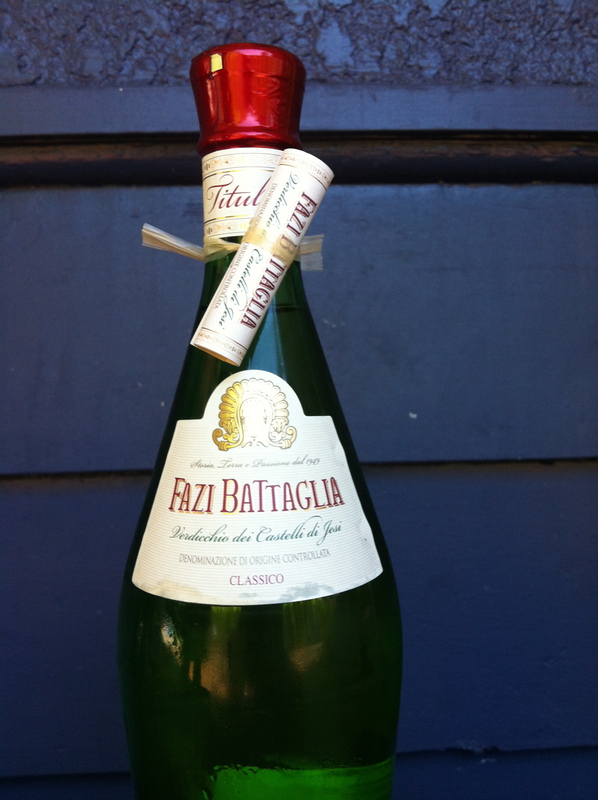 On the palate, Fazi Battaglia’s Verdicchio was bone dry with medium acidity, medium alcohol and light body. 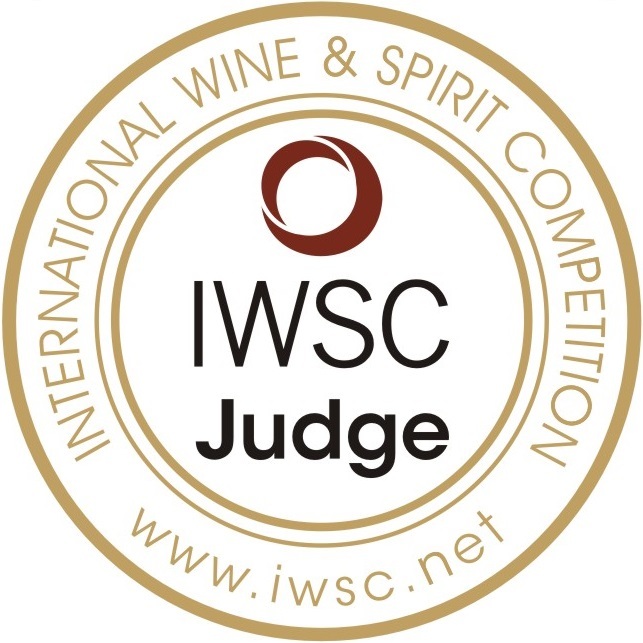 The flavour of this wine is where the uniqueness happens…When I tasted it – I actually said “WOW” out loud. Not because I was floored by the flavour – if anything I was confronted with a taste that I had never really had before to such an extent. Verdicchio from the Marche region of Italy is known for its intense mineral profile on the palate and this was the ‘wow’ factor for me. I can only describe it as a nice, light wine with flavours of lemon and lime that are mixed with, and I know this may sound weird, but flavours of sun-baked clay and dusty earth. This is what the mineral component of this wine tasted like to me. It tasted like Italy in a glass and how I remember it – dusty and full of citrus fruits. This wine isn’t a super juicy fruit driven white wine…but don’t mistake that observation for it not being worth the try. This is absolutely a wine that fits into my “In the mood?” category. I liked it. It was brilliant served right out of the fridge with some light veggies like English cucumber. If you want to taste a wine that really screams out ‘minerality’ this is it. ‘In the mood’ suggestion for tasting beyond your normal selections. Serve very cold on a hot day. Pairs nicely with light vegetables or raw oysters with lemon. For $14.99 – it is like a little slice of Italy in your glass. That is it for me this week. I really hope you are enjoying your day so far and the fantastic sunshine we have been blessed with. Great review…..I might even try a bottle myself!! Love, Dad, Fellow wine lover.